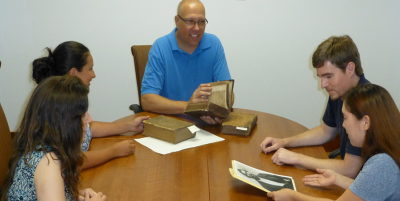 his course will introduce students to the primary source resources available in archives and on the Internet for research purposes. Emphasis will be placed upon the identification, retrieval and evaluation of information for general and specific topics. Students will develop general knowledge of primary source research, how to locate primary sources and how to access archives. This co urse will take you through the oral history process from conception to archiving. You will construct a plan and carry that plan out. The ultimate goal of this course will be to give you the necessary experience to manage your own oral history project. The anchor of this semester-long project will be the recorded oral history interview. You will be assigned to a narrator (interviewee) who has some sort of experience to offer. Projects that demonstrate a high level of professionalism and quality will be added to the oral history collection. Students may also be invited to participate in the oral history program beyond this course. Should you have any questions, please ask.